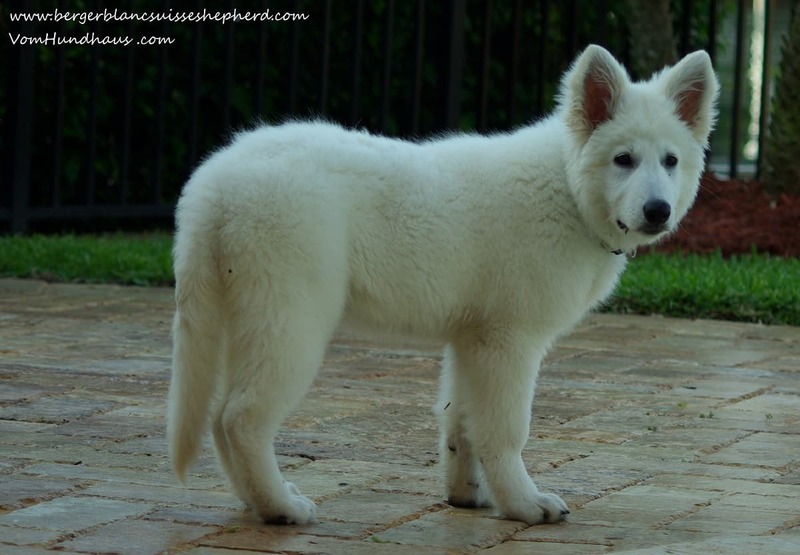 At Vom Hundhaus German Shepherds in Tampa Bay, Florida we are now breeding the beautiful Berger Blanc Suisse Shepherds, also known as the White Swiss Shepherd, Polar Bear Shepherds, White Swiss Mountain Dog. These are a rare breed with a gentle alternative to our West German Show lines, with excellent temperament, loyal companion, extraordinary beauty and intellect. Do not miss the opportunity to own this exceptional breed.